Renesas Mobile Division has announced the release of the next generation integrated LTE (Long Term Evolution) processor. Optimized for a variety of smart-phones , tablets and other internet enabled devices, the MP5232 has a dual-core (1.5 GHz) ARM Cortex TM-A9 with Android support. Image quality and graphics routines surpass those found on typically gaming machines. This is achieved with a 2D / 3D GPU (Graphics Processing Unit) supporting OpenGL ES, OpenVG and DirectX and OpenCL. The GPU functionality is derived from a separate on-die SGX543MP2 core from Imagination Technologies. In addition to the multimedia rich video capabilities, the MP5232 also provides native support for FM Radio. Power consumption benchmarks for various applications have not yet been released, although Renesas specifications indicate this device will provide extended music playback times with typical battery configurations found in most hand held devices. A low power sensor control mechanism is built in to maximize the run-time operations. Connectivity support includes TDD (Time Division Duplex) and FDD (Frequency Division Duplex) variants of LTE Category 4 links. Typical of network enabled devices, GPS and WLAN are also enabled with this device. Rounding out the system-on-a-chip features are a USB2.0 port and HDMI port. Overall BOM (Bill Of Materials) cost is reduced through the chip unique memory architecture requiring only a single DDR Memory. This is also expected to reduce overall board space requirements compared to other similar devices currently available. The closest competitor at this time is the Qualcomm Snapdragon 8690. The Snapdragon also provides support for TD-SCDMA (Time Division Synchronous Code Division Multiple Access), used in China. 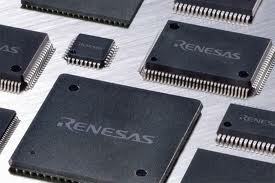 Renesas expects first silicon available for customers in the April 2012 time-frame.